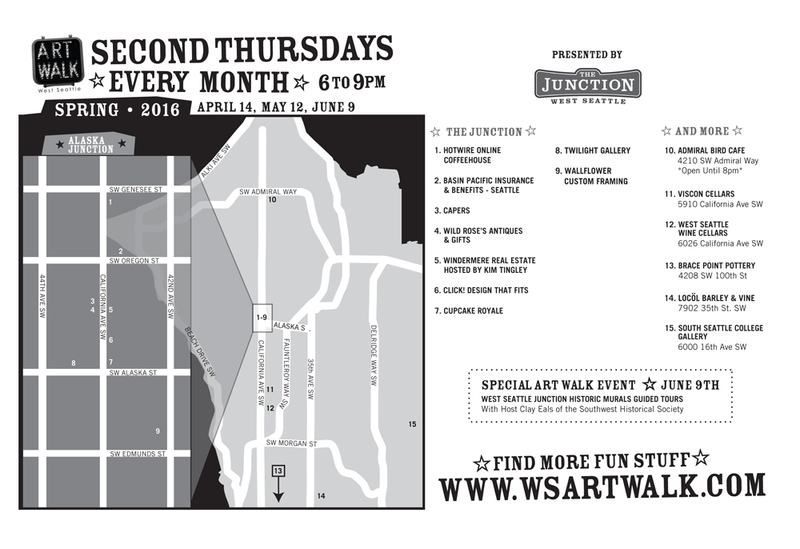 Please join us for June Art Walk, tonight (6/9) from 6 – 9pm! Spend the evening strolling and exploring West Seattle while enjoying art, music, and more. Our participating artists, businesses, and organizations are planning some great events to celebrate our vibrant art culture in West Seattle! Check out our walking map here for the complete list of businesses and their locations. Also find information about this quarter’s featured artist, Stephanie Hargrave.